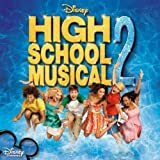 Accueil Bande originale Paroles Chansons I don’t dance – Paroles de la chanson dans “High School Musical 2”. I don’t dance – Paroles de la chanson dans “High School Musical 2”. Paroles : Matthew Gerrard et Robbie Nevil. Sortie : 10 Août 2007. Interprétée par Lucas Grabeel et Corbin Bleu. Hey, batter, batter, hey battter, batter swing. I’ve go to just do my thing. Hey, batter, batter, hey batter, batter swing. Hey. I’ll show you that it’s one and the same. Step up to the place, start swingin. I wanna play ball now, and that’s all. It ain’t no dance that you can show me. Hey. There’s just one little thing that stops me ev’ry time. Hit it out of the park. There’s not a chance. Oh. Slide home, you score, swingin on the dance floor. Two-steppin, now you’re up to bat. I’ve got what it takes, playin my game, so you better spin. that pitch you’re gonna throw me, yeah. I’ll show you how I swing. I’m makin a triple, not a curtain call. I can prove it to you til you know it’s true, cause I can. swing it, I can bring it to the diamond too. You’re talkin a lot; show me what you got. Stop. That’s what I mean. That’s how you swing. You make a good pitch but I don’t belive. Nothin’to it. Alta boy, alta boy. Yeah. Hey, batter, batter, hey batter, bater what ? One, two, three, four, everybody swing.